Are you trying to find the perfect Children Karate Katy TX service for you? If you’re not sure what to do about your child’s increasing behavioral problems and academic struggles, you may feel like you’re hopeless. 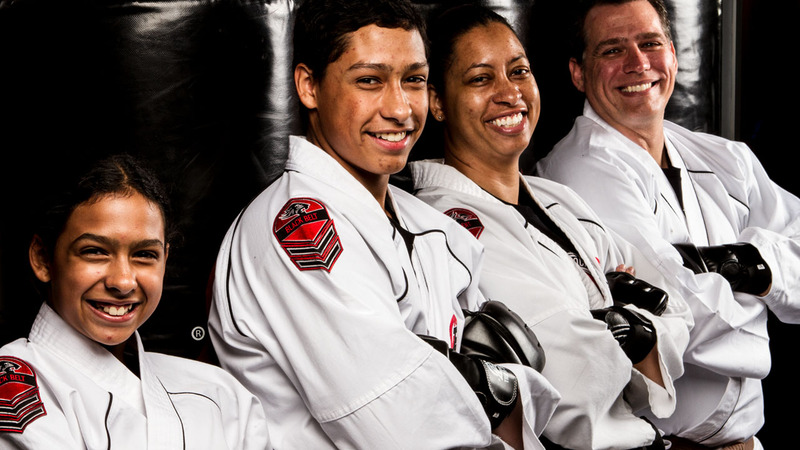 Before giving up all hope, however, make sure you reach out to Tiger-Rock Martial Arts in Katy. We’ve assembled a professional team of instructors and experts who want to make sure you get the most out of these services and classes. Read more to find out details about what we offer. When your kids are going through problems, as a parent, you probably want to make sure they get through them. Many parents deal with behavioral and academic issues on a regular basis, but too many of them fail to get to the root of the problem. Is your son failing to complete his homework in a timely manner, but you know he’s more than capable? Perhaps your daughter isn’t getting along with her new teachers and you don’t know what to say to her. If you’re experiencing this, our studio can help. Tiger-Rock was first founded back in the year of 1983. Ever since then, we have steadily grown our business to include over one hundred locations worldwide. We are proud to call ourselves the most popular martial arts franchise in America, and we’re continuing to make our name known around the globe. Each and every studio has a team of certified instructors who are masters of Korean Taekwondo. If you want your child to be guided by some of the best in the country, we have the resources you need. Cardiovascular health is something that we take extremely seriously. Is high cholesterol a problem in your family? Perhaps high blood pressure and diabetes run in your genes and you’re worried that your kids are getting off the wrong start. Like every other muscle, it’s important to make sure the heart gets the exercise it needs to become stronger. Enrolling your children in a martial arts course can really do wonders for their health. We provide our Children Karate Katy TX participants with structured lesson plans and classes that help them achieve their goals. Kids are always trying to absorb knowledge, but they are not always the most focused bunch. Like all children, your offspring probably wants to be involved in programs and classes that are fun and engaging. While we believe in pushing each and every student, you can count on our instructors to keep your kids engaged. We understand that children don’t always have the longest attention spans, and we have tailor-made programs to combat this. Our experts have plenty of experiences working with youth from various walks of life, and they’ll make sure your child gets the proper training. Physical fitness is a major aspect of our dojo, but we absolutely cannot ignore the mental aspect. Are you beginning to realize that your child is not as focused as he or she needs to be? Maybe there’s also a lack of self-esteem and you’d like to rectify this before it carries over into adulthood. If you’re a parent, you probably want to give your son or daughter everything they need to succeed in life. Make sure you figure this out by enrolling them in our classes. Discipline is a key component of our program, and we will demand effort from all students. There are no shortcuts when it comes to ranking up in our programs and courses, and you’ll have to earn everything you receive. This is something that will definitely help your kids build confidence and retain their self-esteem. Kids love to level up, earn new belts, and learn new techniques. They will be challenged and pushed to their limits, but you can count on our instructors to always guide them in the right direction. We also have classes for adults, too. Even though you might be in a later phase of life, you can depend on us to give you the coursework you’re looking for. Are you new to the world of martial arts and you don’t know where to start? You might’ve always had a burning desire to master karate, but you never had lessons. If so, we can put you on the road to success. Our 16 and up classes are led by experienced instructors who know how to help adults hone their mental and physical potentials. Competition is very recommended at Tiger-Rock. Many of our children and adult students love to take advantage of this aspect of our class because it gives them the chance to compete and sharpen their skills. We have nationwide tournaments on a yearly basis, and we highly encourage you to participate. We believe that healthy competition is great at any age! Choosing the right Children Karate Katy TX programs for your child is an extremely important decision. It’s absolutely critical that you make sure your offspring are integrated into an atmosphere that will help them become the best people they can possibly be. 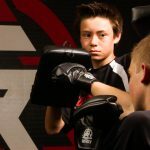 If you’re trying to find a place that they can grow both mentally and physically, choose Tiger-Rock Martial Arts. Our representatives and instructors are always available to answer any questions you might have about our programs. Give us a call today and schedule your first class and performance evaluation! Before we ever got our current name, people used to refer to our city as Cane Island. Katy is a part of the Houston-Sugar Land-The Woodlands metropolitan area. While some look at us as an old town, we continue to make modern strides that put us ahead of the curve. Are you someone who wants to get the most out of your business? If so, you may want to consider relocating to Katy. BP America has a campus here that holds over five thousand employees. More businesses are coming soon, and it’s important to beat the crowd!